Not everything works out the way you'd hope. Every year great things happen in the auto industry. New supercars are launched, records are broken, and technological breakthroughs are made. There are also many disappointments. Perhaps a specific new car didn't meet expectations, or a personal favorite was discontinued with no direct replacement. We put together a list, in no particular order, of five of the cars / events / happenings that disappointed us the most in 2014. What were yours? Let us know in the comments. The all-new Acura TLX. 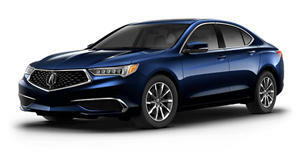 As a replacement for both the TL and TSX, the TLX was intended from the get-go to be Acura’s savior. So far its sales have been pretty solid, but the TLX itself is by no means a BMW beater. It’s a fine car and all, with an extremely high build quality and expected better than average reliability. But it doesn’t drive like a premium sport sedan should. Its super-handling-all-wheel-drive system and optional V6 help somewhat, but the TLX still falls short. 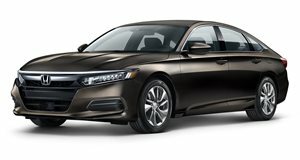 In summary, this could have been a reborn Legend, but Acura instead built a Honda Accord for the mid-level manager who’s awarding himself for a recent promotion. There’s still no absolute confirmation of a production-spec Infiniti Q50 Eau Rouge. Why? We have absolutely no clue. Neither does former Infiniti, now Cadillac, boss Johan de Nysschen. He recently taunted his former employer in a Facebook post about this very issue, claiming it’d be easier to push water uphill than to get Infiniti management to sign off on a high-performance sedan. 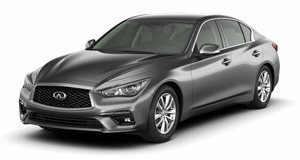 Fortunately, Infiniti hasn’t called this project off completely, but we don’t know why things have stalled. It’d be an absolute shame if the Eau Rouge remained just a concept. 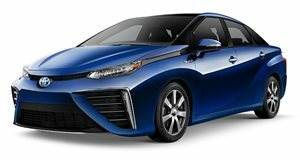 The Toyota Mirai looks like "The Homer." We’ll admit that we were initially excited about Toyota’s hydrogen-fueled Mirai. It has zero tailpipe emissions, a 300-mile range, and the ability to refuel in less than three minutes. It really is a huge step forward in terms of how production cars are powered and the drivetrains of the future. Then we saw the thing. It looks as if Homer Simpson himself designed it. Bummer. The Lotus Esprit is officially dead. This was the news we really, really didn’t want to hear. But there’s no chance Lotus will revive one of its most iconic nameplates. The reason? There’s simply not enough money to do so. 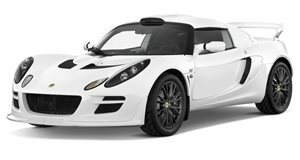 Instead it’ll focus on a heavily facelifted Evora and other updates to the now Europe-only Elise and Exige. But now there’s word that Lotus is developing a crossover version of the Evora? Seriously? This but no Esprit? Then again, if that’s what it takes to keep Lotus up and running, we can live with it. BMW replaced hydraulic power steering with electric steering in the new M3 and M4. OK, so many people were sad to see the naturally aspirated V8 dropped in favor of a twin-turbo inline-six. That can be forgiven. After all, more power and improved fuel economy. But the fact that a computer is now more in control than the driver of the world’s finest mid-size luxury sport sedan is just outright painful. Sure the sedan and coupe duo perform better on both road and track, but for those who absolutely love driving and the feel and feedback from the car, could walk away a bit disappointed. Heck, BMW is even augmenting engine noise through the stereo these days. Honorable Mention: General Motors. As of this past summer, a total of 28 million GM vehicles have been recalled due to faulty ignition switches. 28 million. That’s just nuts. And the fact that GM was aware, at least to some extent, of this proven fatal issue as early as 2001 is outright shameful.